I recently got targeted for the American Express Premier Rewards Gold card. They’re offering me 50,000 Membership Rewards points if I spend a piddly $1,000 in the first three months from account opening. Now that sounded pretty good at first glance seeing that the public offer is just 25,000 Membership Rewards points after spending $2,000. But I have no plans to travel or stay at hotels in the near future because I just won’t have the freedom to do so. But I’m always happy to earn cash back from credit cards no matter what’s going on in my life. So I quickly wondered what I could glean in cash back from this offer. If I could get $500 cash back and take advantage of the $100 airline credit each calendar year before the waived annual fee kicked in, it would make sense to apply. 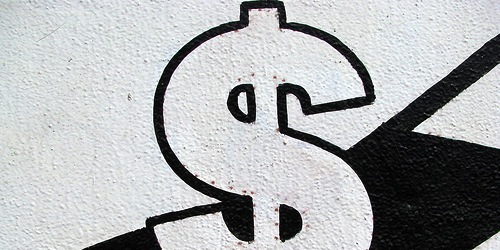 How Much Are Membership Rewards Points Worth to You? As noted, I won’t be using MR points to transfer to travel partners like airlines and hotels, which is pretty much the best redemption value without question. And I don’t want to buy any merchandise in their catalog like a blender or headphones or some other silly item. So that pretty much leaves me with cash back ( via Amex gift cards), statement credits, and gift cards. But how could I quickly determine the best value for my points? Well, I dig some digging and found a link that lets you do just that on the American Express website. 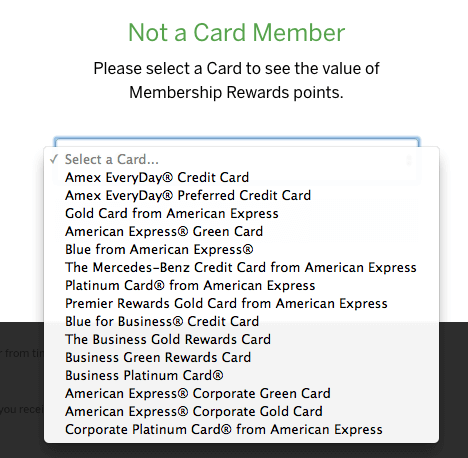 It’s best to visit this link while not being logged in to American Express so you can select the card of your choice, not just the cards Amex knows you already have. So use a browser you don’t normally use or clear your cache before visiting that link. You want that second option so you can see the redemption options/values for cards you’ve yet to apply for. I went ahead and selected the Amex Premier Rewards Gold to see what I could possibly get out of the offer. From there it will default to show you what 10,000 Membership Rewards points are worth…and then display a variety of tabs including gift cards, shopping, travel, charity, your charges, and more. So I went ahead and changed the default amount of Membership Rewards points to 50,000 to match my offer and then toggled through the redemption options. Notice how very few of the redemption options provide a one cent per point valuation. Kind of weak. With Chase Ultimate Rewards you can get cash for points at a 1:1 ratio, whereas with Amex it’s not even an option. It’s also important to look at all your options. For example, using points for Airbnb will give you 0.7 cents per point value, but you can buy Airbnb gift cards for one cent per point. You can use your points on the fly at Chili’s via point-of-sale for a value of 0.85 cents per point, or just buy a Chili’s gift card ahead of time for one cent per point. At the end of the day, if you aren’t using Membership Rewards points for travel or for travel partners, or for Uber or a taxi in NYC, you’re probably not going to get even one cent per point. For me, the targeted offer isn’t really as lucrative as it first appeared. Sure, I can transfer those points to a frequent flyer program and save them for a rainy day but it’s not that enticing of a deal. If it were a 75k or 100k sign-up bonus I’d maybe go for it. Moral of the story: When it’s not a cash back credit card, determine how much the points will be worth to YOU before you apply. Next Next post: Is There a Limit to How Many Credit Cards You Can Get Approved For?